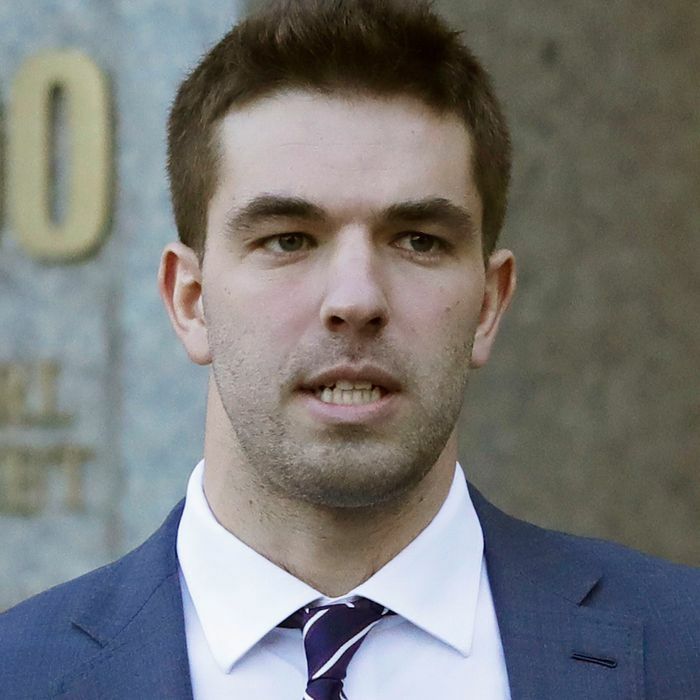 Before Fyre Festival went up in flames, festival co-creator Billy McFarland was attempting to light up the urban upper class with the pseudo credit-card Magnises. The card linked up to members’ bank account, allowing those who could pay the $250 annual fee to flex by throwing down the matte black metal card whenever they went out. Magnises also offered exclusive events, access to a penthouse, and lit parties … allegedly. In the end, the company ended up being just about as fraud-ridden as Fyre. The recent documentaries Fyre Fraud and Fyre: The Greatest Party That Never Happened detail McFarland’s history of selling things that didn’t exist in order to pay for other things. But McFarland’s history of long cons goes back to the second grade, when he charged people to fix crayons. By the fifth grade, he was posing as an adult, running a “web-posting” service and employing three remote workers. For a few brief years, around 2013 to 2016, Magnises was McFarland’s greatest con. He partied across New York City and D.C., creating so much Magnises chaos that Amazon Studios could turn it into a prequel documentary. Here are some of the most eye-rolling moments from the era when Billy McFarland thought he ruled New York. • In August 2013, just as Magnises was kicking off, McFarland held a 500-person birthday party for NYC photographer/socialite Patrick McMullan at the former Magnises clubhouse, a $13,750-a-month rental duplex on Greenwich Avenue. This was just one of many card-sponsored events for club members, where the combo of free booze and faux-luxury caused $62,000 in damages over time, according to the owner, who filed a lawsuit against McFarland. • GQ clocked Magnises’s “bizarro douche cult” in 2014 after the Magnises team uploaded a (since deleted) video of their members-only yacht party. Jim Jones sang “We Fly High” to an overwhelmingly white crowd while holding a Magnises card and Champagne bottle. In several photos from the event, you can find Billy McFarland hanging out, clutching his own bottle, observing the chaos he created. In a now-classic McFarland move, the footage from the event was turned into a promotional video, kind of like how he threw a party on Norman’s Cay and passed it off as a commercial for Fyre Festival. • Is it really a Billy McFarland party if it doesn’t require some sort of damage control? At the Magnises Fashion Week party at Villain in Williamsburg, headliner Rick Ross dipped after 20 minutes, leaving the crowd of “mostly male models” with no entertainment. That is, until then-Magnises fanboy Ja Rule took the stage and rapped a few songs. • The guest stars on this show keep getting weirder. Just as McFarland has a weird connection to scam queen Anna Delvey, he’s also crossed paths with new Gawker Editorial Director Carson Griffith, who was recently called out for discriminatory comments. She wrote about Magnises events for Billboard and The Hollywood Reporter, including a Fashion Week party that featured Kendall Jenner, Rihanna, and Naomi Campbell. Campbell took over the upstairs in Up & Down for her own after-party, and Magnises got to claim the cred for having a supermodel at its event. • As Ja Rule got closer to the operation, he became the headliner at Magnises events, including some kickoff parties for the card’s launch in D.C. that offered a free Ja Rule concert at Howard Theatre. But the day before the show, Magnises announced that Ja Rule couldn’t make it. It’s funny because earlier that week, as DCist pointed out, Ja Rule performed at a Magnises members event, which promptly got shut down. (D.C. attorney general Karl Racine was in the process of suing the homeowner for allowing too many parties to be thrown there. Magnises said it was unaware of the case.) Wale, another fan of Magnises, ended up performing at Howard Theatre instead. • Rosario Dawson took up hosting duties to launch her pal Jamison Ernst’s clothing line Yellow Fever at a Fashion Week party that took place at the Magnises penthouse at the Hotel on Rivington, where they moved after the original lawsuit. The fact that Yellow Fever boasts “Chinese restaurant”–inspired tops and that its name literally describes the fetishization of Asian women (and cultures, more generally) puts this high up on the list of sketchy stuff Billy McFarland was involved with. Top four is definitely all the fraud, but No. 5 is helping promote a white guy’s appropriative clothing line.